George Davies Turf was started in February 2001. Since then the business has expanded enormously and we are currently selling around 950,000 m² or 235 acres of fresh, high quality turf a year. We are a totally independent business buying the best turf in from a reputable source, at present we are sourcing all our turf from the best turf farms in the Country. The turf farms we use have been growing turf for over twenty five years at their sites in Cambridgeshire, North Lincolnshire and Yorkshire. The Farms are ideally suited to turf production in that the soil as it is sandy, free draining and fully irrigated during the summer months. In the last few years they have supplied a lot of prestigious venues such as Chelsea F.C, Manchester United, Newcastle United F.C, Amsterdam Arena and Silverstone Race Circuit as well as a lot of the Country's leading golf courses such as Wentworth and Gleneagles. George Davies Turf combines the Best Turf with the Best Service to provide the customer with a prompt and reliable service selling the best possible turf at a fair and affordable price. As a business our prime aim is serve the customer and over the years we have made constant improvements to provide the best possible service. For instance, we have recently purchased our fifth lorry with a telescopic Manitou forklift truck on the back. This enables us to place the turf exactly where the customer wants it, whether that be on a driveway or in the middle of a golf course. 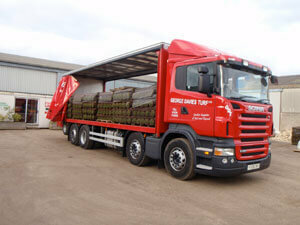 We also have an Articulated Lorry, which we use to transport the turf from our suppliers to our depots. We have two 30ft chiller units, one at Bedford and one at our St Albans depot, that means that we can chill and store turf for a least 10 days even in temperatures above 30°C. 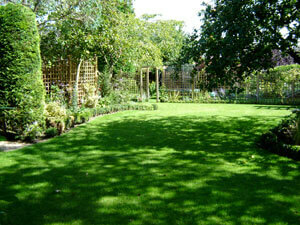 This enables us to supply fresh turf at all times. 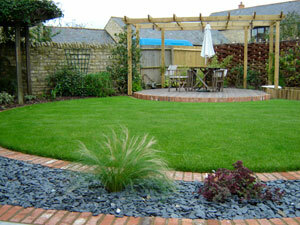 In 2004 we started to supply the best possible top soil in 1 tonne bags you can buy. Norfolk Top Soil is a sandy loam that has been screened to 10mm and is ideal for laying turf on, filling borders or top dressing lawns. George Davies Turf now supplies turf to over one hundred golf courses including Woburn and Moorpark as well as to numerous leading housing developers such as Barratt Homes,Wimpey Homes, Bovis and McCann Homes.